I was working with a gent today on simplifying his swing-thoughts during his swing/shot. He was in a situation where there was too many thoughts going though his mind as he was hitting the golf ball. As a result of too many thoughts; he ended up trying to swing the club differently on every swing. So we worked on making ONE feel good practice swing. This practice swing was as good as he could possible make, as if the ball was in-front of him to be struck. Straight away without too much thought, he set up retained that swing feeling in his mind and made a similar swing when hitting the ball. 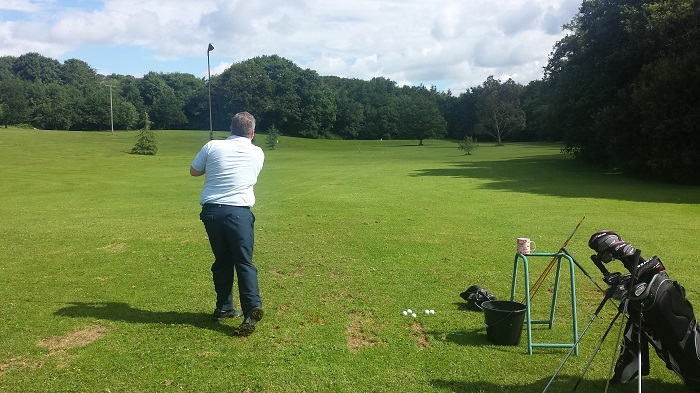 After a bit of work, this proved to work particularly well and he started to feel more confident about his swing and then started to hit a lot more solid shots. This action is now part of his pre-shot routine.